The birds are singing and the grass is greening – it must be spring. After this very long winter we are all ready for signs that our world is coming to life again. And what better way to welcome the coming of this special season than with music. 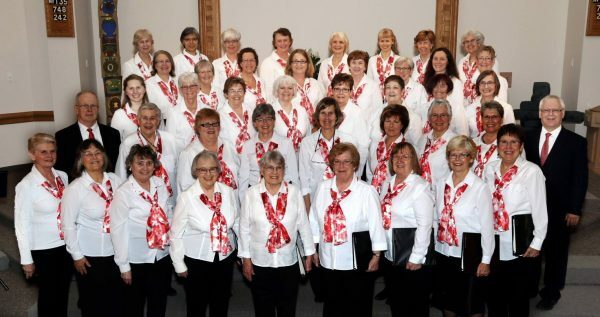 The West Ottawa Ladies Chorus will burst into song after song as they bring an evening of ‘Musical Memories’ sure to bring spring to your heart. “It Might As Well Be Spring” opens the evening and leads to number after number from bygone days, your favourite is likely part of the repertoire. Directed by Robert Dueck and accompanied by Peter Brown the chorus puts new meaning and rhythm to old tunes. In four-part harmony, “Java Jive” will have the audience keeping time while some sentimental songs will tug at the heart strings. Very much in demand, the chorus of over 40 ladies have performed at City Hall, completed singouts at a number of senior residences and were the guest performers in Carleton Place where they raised approximately $500 for the Lanark County Food Bank-The Hunger Stop and Saint James Anglican Church in Carleton Place. Already it has been a busy season with the annual spring concert days away. Be sure to mark your calendar, this is an evening not to be missed. ‘Musical Memories’ will take place at St. Paul’s Anglican Church, 20 Young Rd. April 28, 7 pm. 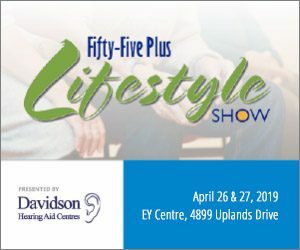 Tickets are available on line at www.westottawaladieschorus.ca or $15 advanced at Dragon’s Lair Beads – 10 Mill St. Almonte; Graham’s Shoes – 139 Bridge St. Carleton Place; Kanata Barbershop – 2 Beaverbrook; Kanata Cleaners – 1029 Teron Rd. ; The Scottish & Irish Store – 2194 Robertson Rd. Nepean. Children under 12 are free.